Drawn from Freedom: A Documentary History of Emancipation , which has been been described as “this generation's most significant encounter with the American past,“ Slaves No More includes three essays on the destruction of slavery and the redefinition of freedom in the midst of the nation's bloodiest conflict. Each essay addresses a central question in the study of the Civil War: How did slaves gain their freedom? What did freedom mean? How did wartime military service reshape the lives of African Americans? Emphasizing the active role of slaves and former slaves in remaking a war for the Union into a war for freedom, the essays demonstrate that emancipation transformed the lives of all Americans, white and black. 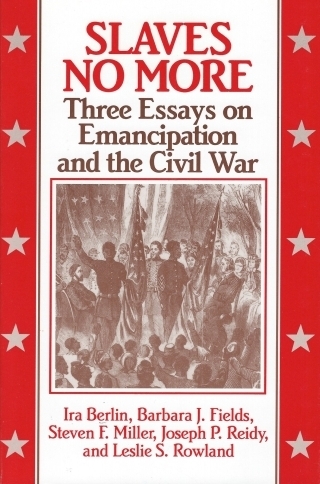 Slaves No More is available in paperback and is widely used in the classroom as an overview of emancipation during the Civil War. 243 pp. Table of contents. Copies of Slaves No More may be ordered from Cambridge University Press online, by telephone (800-872-7423), or by fax (914-937-4712).